I’ve always been a picky eater. I drove my mom crazy. I liked this, but not that. Battles over vegetables were epic. So it stands to reason that I’m picky about where I set my books. I have to like the place. Or have some feeling for it. It has to mean something to me. When I was a kid, we went all over the West in a camper, staying in national parks and campgrounds, driving through small towns, seeing all the landmarks like Yellowstone and Glacier National Park. I grew up in the West, and I love the West. I love the road. And because it’s my world, I set books in places I like to be. A lot of these places have long vistas under blue skies. 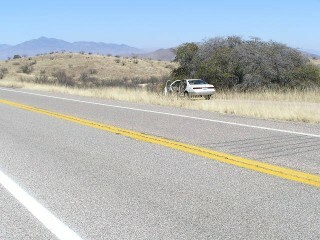 My latest Cyril Landry thriller, Spectre Black, takes place in southern New Mexico. Plenty of blue sky and long vistas. There’s one sequence on a long stretch of highway near the Mexican border that involves semi-trucks made near-invisible by cloaking technology. I’ll go into that in more detail in an upcoming post. It’s not worth it to me to go to the inner city. I don’t understand the culture, and even writing about being hemmed in by tall buildings makes me nervous. Somewhere along the line I realized that if I want to write for joy, I could set my books where I wanted to set my books. I spent one semester in the University of Arizona MFA program, having decided I didn’t want to be an opera singer after all. (Big cities, again, and late nights, and spending most of my time indoors. Nope.) The other students were younger than me. They wrote bleak stories. Angst. Misery. Ugly gray scenes. I think it might have been because that was what was popular. I realized pretty quickly that I didn’t fit in. But I didn’t stop writing. My suggestion to anyone wanting to write a book: find a setting you want to set a whole book in. If you like bleak, go bleak. If you like the high Sierras, write about it. So much goes in to the Salad Shooter of our brains to make a book, and setting is an important part of it. Write what you want. Write the characters you want and the place you want. Don’t try to emulate someone else in that regard. Write for your soul. You get to build the world, so enjoy it, whatever it is you choose. I have many male friends who write female main characters, and female writer friends who write male characters. Maybe it’s liberating, or maybe, for some reason, the character is the person you feel closest to. There’s chemistry there. You want to spend your time writing about someone who inspires you, because you have to spend a whole book with that person. Male or female. For my part, I love looking out through Cyril Landry’s eyes and seeing what he is seeing. And he’s kind enough to oblige me. Cyril Landry fought in two wars. What he did with Whitbread Associates wasn’t all that different. I don’t think men and women are all that much different from one another. In my view, they have a lot more in common than not. Cyril Landry has been through a lot. He’s fought in two wars. He worked as an operative for a not-very-nice organization called Whitbread Associates. At times in his life, hardened by war and needing to make a living for his family, he considered morals to be niceties. What he did for Whitbread Associates was not so different from what he did for the United States in Iraq and Afghanistan. I met him on the first page of my thriller, THE SHOP. He was a faceless operative—basically a spear carrier on the set—but on the first page he changed all that. On a mission to kill some people in Aspen, he corrected another operator’s grammar. The first words out of his mouth. From there he took over more and more of the book. I know he’s done bad things, things I can’t wrap my head around. But I still like him. I’m still fascinated by him. It’s a dichotomy I believe happens in real life. Can you be a good and moral man and still kill? Why walking shoes for SPECTRE BLACK? You’re writing, and suddenly, you get stuck. You’ve driven yourself into a ditch. So. What do you do? You can quit for the day. You can skip ahead to another part that isn’t so hard to write (but many times, that turns out to be just as hard, because your sullen, uncooperative mind refuses to budge). This isn’t me out for a walk. 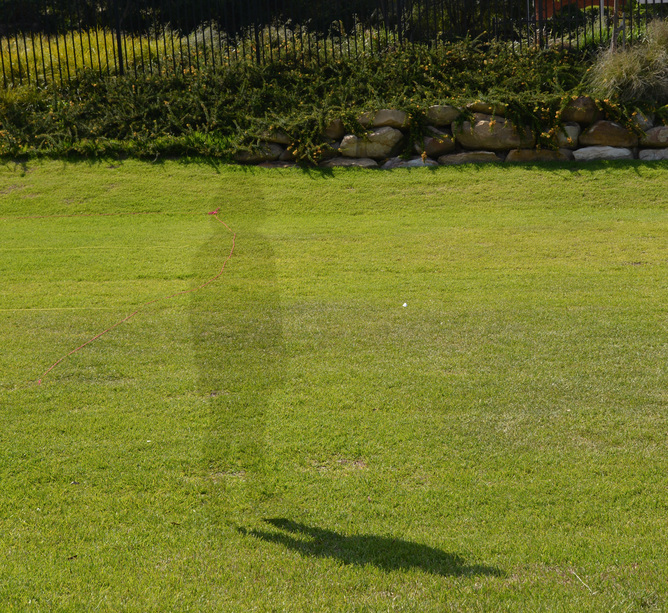 It’s an example of the cloaking technology featured in SPECTRE BLACK. Sometimes, a walk is just a walk. But more often than not, you come back already thinking of another way forward in your story—a new plot point or a new scene—something really great that just came out of left field. It materializes out of your subconscious, which was trying to help you all along. 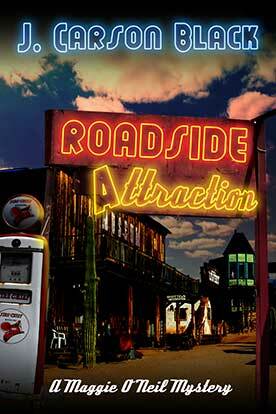 In the case of my new Cyril Landry thriller, Spectre Black, I had run into a dead end. I couldn’t think of anything that would move the story forward. So I went for my walk and told myself not to think about it. I walked through a patch of desert and looked around, letting my mind wander to whatever drifted through my transom. Then suddenly it came to me—completely out of left field. An idea that at first didn’t seem to fit at all. The thought I had was this, two words: “property seizure.” Very quickly, the other pieces locked into place. Cops—bad cops (and I had a few already onstage)—often seize assets, especially expensive assets, like sports cars, boats, houses, and other property. And they divvy up the spoils. One sergeant might say, “I’m looking for a Corvette.” Or something like it. And then they go out looking for a Corvette. A simple traffic stop, a small transgression, and the Corvette’s on a flatbed truck headed for the sheriff’s impound lot. 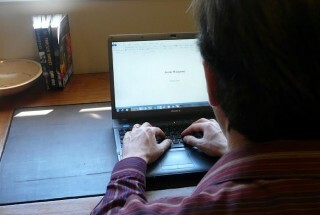 I write spy thriller because I want to entertain my readers. I want them to escape their daily lives and to embark on hair-raising operations along with the best agents of the Canadian Intelligence Service. I want my readers to live precariously through the adventures of my fearless characters, Justin Hall and Carrie O’Connor. I believe my readers are smart, and I trust them to follow my adventures without too much explanations of minute details or unnecessary descriptions. My readers can enjoy these spy adventures without needing to become experts in weapons technology, learn the special operations lingo or have up-to-date knowledge of complicated geopolitics of our ever-changing world. My stories are clear and to the point, with plausible plots and credible storylines, with no word padding, and without being bogged down by political and philosophical discourses. Finally, I write spy thrillers because they give me a chance to do what I love. They inspire me to create adventures that can thrill my readers, encourage them to take a break from their stressful lives, and savor a taste of adventure, danger, and adrenaline rush. 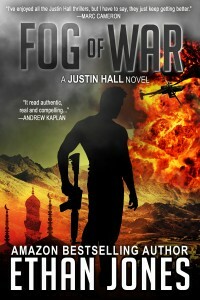 FOG OF WAR is the third novel in the Justin Hall series, and it is my favorite in the series. Well, perhaps the second favorite after Homeland, my current work in progress. 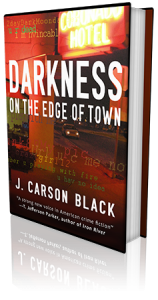 I wanted to write an explosive story, full of thrill and suspense, which took the reader to extremely dangerous places, as they followed trails of intriguing plots. I believe that I have achieved all that in this spy thriller. 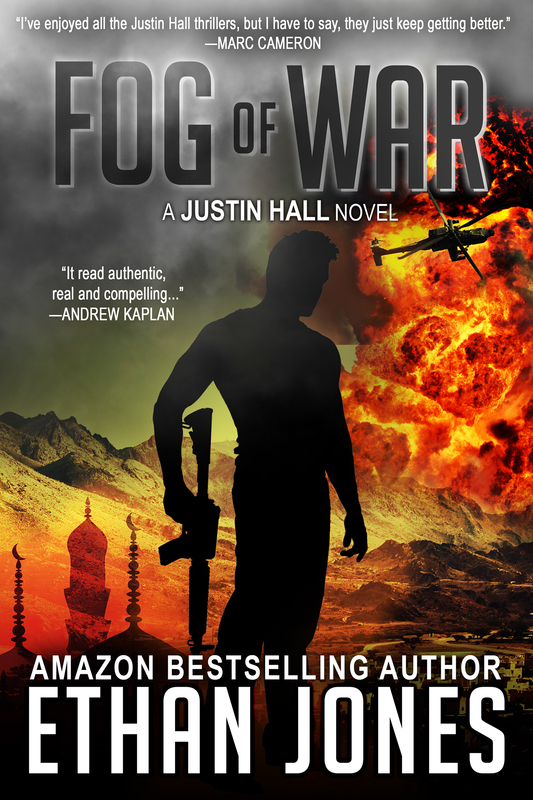 FOG OF WAR opens us with a scene of a Navy SEALs Black Hawk helicopter going down over Somalia. Then, the story moves to northern Iran, where Justin Hall is helping with the escape of an Iranian nuclear scientist who wants to defect. This mission is compromised and Justin barely escapes northern Iran with his life. Now, he sets out to discover who has put him and the Service in grave danger. Justin Hall develops quite well in FOG OF WAR. He is testing his limits and learning who he can trust and who he cannot. He will travel to some very dangerous places, hotbeds of terrorism and lawlessness, like violence-soaked Somalia and anarchy-ridden Yemen. I had lots of fun putting Justin in a lot of dangerous situations and then figuring out how to drag him out of there. 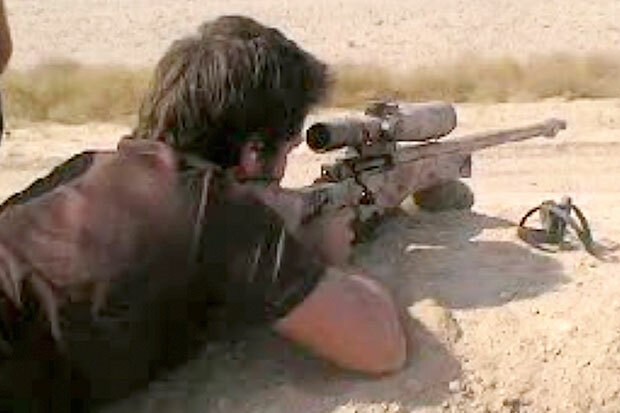 He survives a lot of hair-raising missions, and at some point is forced to go rogue, in order to find the ones who have him on their crosshairs. Ethan Jones is the author of the wildly popular Justin Hall spy thriller series. The first book in this series, ARCTIC WARGAME, came out in 2012 and reached the Amazon’s Top 10 Best Sellers lists in 2012, 2013 and 2014. The seventh book in the series, HOMELAND, is expected to be released this August. Ethan Jones has also started two new series: Carrie Chronicles, another spy thriller series featuring Justin Hall’s partner, Carrie O’Connor, in solo adventures, and Jennifer Morgan romantic suspense. Ethan is a lawyer by trade, and he lives in Canada with his wife and son. You can also join Ethan’s Fans Mailing List at this link: eepurl.com/HIG7r Every reader who joins, will receive the book of his or her choice in the Justin Hall series for free. Write to please yourself. It’s a daunting undertaking to write a book you think will reach thousands of readers, that will be called “one of the good books to read.” You want your story to be universal, to thrill and inspire people all over the country or the world, to write one of the good books to read. How do you go about doing that? I figured out the only way for me to write a really good book was to please myself, because I’m the only person I really know. If, when I read one of my thriller novels, I am completely taken away by it, then I’m guessing other people will feel the same way. Of course, you have to be honest with yourself. Does it REALLY keep you reading? There are ways to figure out if your book is working, or not working. Print it out and read what you have so far. It’s like a magic trick, but it works. If you FIND YOUR MIND WANDERING, if it’s hard for you to read the words on the page, your story is not effective. You need to go back to the drawing board and write it until it takes you out of where you are–and becomes a story. Read your story This is a lot like reading the printed version, but gets at the story in a slightly different way. Try to figure out where the story goes wrong. In other words—where YOU lose interest. The moment you lose interest, mark that spot. On the other hand, if it feels right to you, if you find yourself following the story and getting involved in it, that’s a very good sign. A word about critique groups. For some people, a mystery critique group is a very good thing. For others, it is not. How do you tell if it’s helping or hurting your writing? If you’re writing up a storm and feel a ton of energy after a session with your critique group, that’s good. A critique group can keep you honest and keep you writing. You have to produce something for them, if it’s a weekly meeting. 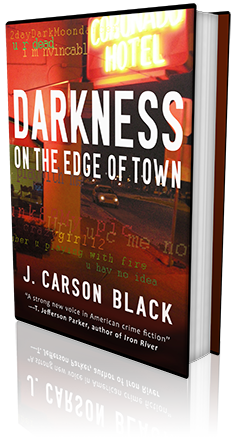 I had that experience with my writers group while writing Darkness on the Edge of Town, the first in the Laura Cardinal series of crime thriller books. I had “gone back to the woodshed” to retool my writing and when I was ready, I tried out the new material with my group and got affirmation I was on the right track. If, though, you feel that you’re losing hold of your book—that your book is now being engineered by committee—if you feel even a little bothered by that, you should trust your instincts. Everybody is different. Some people profit greatly from a good, strong critique group. But don’t feel you should feel a certain way, pro or con. There’s only one writer who matters when it comes to writing your thriller novels (or any other kind of story you choose to write): You. You call the shots. You can take criticism, take advice, use that advice or discard it, benefit from the help you receive, embrace new and exciting ideas generated for your story by your group. But if it feels forced or you start to lose your confidence, my advice is to go off on your own. Either way, you’ve set yourself on the path to writing one of the good books to read. I once heard an editor say that her author “channeled” a famous writer. I thought, how sad. The only thing any of us has over anybody else is ourselves. That’s the one thing that makes us special. We are our own instrument. I love to watch the top comedians on the comedy channel, because the really good ones use themselves—their world view, their own quirks, everything that has been poured into their lives so far. So—like other authors–you’ve got a guy playing piano. You have a bunch of guys who look like meth heads. You have people with props. You have people who are dirty, and you have people who are clean. Those are all common things. But the best mystery thriller authors don’t copy anyone else. I don’t want to channel thriller and mystery writer John Grisham. There’s already a John Grisham, so anything I could do would be only warmed-over, second-best John Grisham. So how do you avoid channeling John Grisham? If he’s your taste, look for other top mystery authors like him, like you. And read them all. Mix it up. Don’t read two of one author’s books in a row. There are some writers who have such strong voices that when I read them, I have to leaven them with another strong writer from another direction. If I’m reading Sue Grafton (for fun, and because she’s one of the best), I have to find someone who will neutralize her before I start to write, like James Lee Burke. I’m a born mimic, and I have to fight that tendency—and that combination will confuse the hell out of anyone. If you choose, say, five to fifteen thriller authors you love, if you can see your work in that mold, in that grouping, you will do well to trust them. I have four writers, I call them “my boys,” and whenever I start to freak out in my writing I go to one of them, read one of his books, and it helps me to realize I can write, too. I know I’m on the right track, that I do many more things right than I do wrong, because I’ve been over this trail a few times and each time I do the trail becomes more pronounced (They don’t know, by the way, that they’re “my boys.” If they did know, they might think I’m a crackpot and go out and hire extra security). 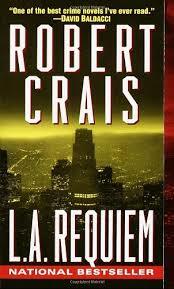 Why are the best mystery thriller books “the best”? 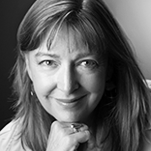 The best authors and the best mystery thriller books are the best for a reason. They do things that may seem completely natural—easy, even–but a lot of deliberate thought and practice has gone into their work. Like pilots who need a certain number of man-hours in the cockpit, these writers have developed their craft and you can rely on them to fly straight and true. You can’t get there from here unless you work hard, and the best way to get someplace is to see where you’re headed. The best in your genre can be your teacher. 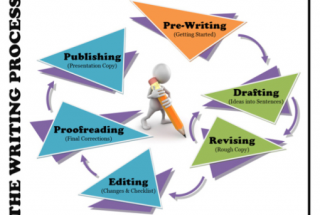 I’m taking part in a blog tour about writing processes–a series of blogs where writers describe their writing process and what they are working on now. Then I will pass the torch to two other writers.